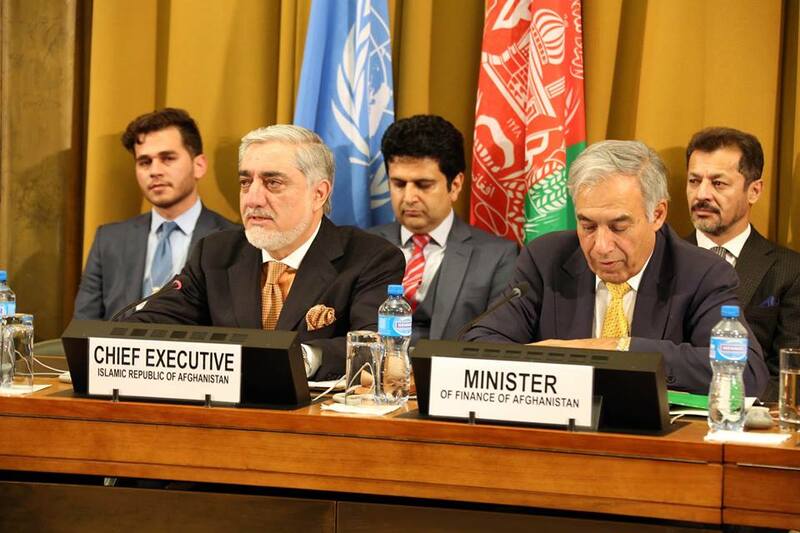 Let me express my gratitude and congratulations to every country, organization and individual here for bringing this Ministerial Conference on Afghanistan to a successful end. We have spent two days taking stock of the tremendous amount of work that has been executed since we last met in Brussels in 2016, and the vast amount of work that remains to be implemented over the next few years, as we aim to reach some of our goals by 2020 and others by 2024. The government and people of Afghanistan are grateful for the generous support, commitment and continued engagement of our friends in the international community – encompassing all donors’ countries, multilateral, private sector, civil society and non-governmental stakeholders. Our thanks and appreciations also go to the resolute support for their sacrifices and standing along with our national security forces. Success in Afghanistan is not only success for our people and our nation after years of insecurity, pain and destruction, it is also success that the donor community and your tax payers can be proud of. We look forward to reaching our objectives together as we try to find solutions to mega challenges on our path. We have a commitment to the Afghanistan people to move forward by assuring security and safety, safeguarding the political process, aiming for a just and sustainable peace, protecting their achievements, providing better governance and investing in better livelihoods through social and economic development strategies that maximize our potentials. Our aim is to deliver on all counts. The National Unity Government has placed high importance on the reform agenda and on previous commitments. More specific benchmarks include fighting corruption, enhancing service delivery, improving governance and rule of law, empowering women, promoting fiscal stability and economic growth, and private sector development. I do believe that the implementation of our mutually agreed commitments and reform agenda will lead Afghanistan towards self-reliance, which we all wish to see. Parliamentary election was one of the important commitments of the government of Afghanistan. Despites security and logistical challenges, the Afghanistan Independent Election Commission (IEC) organized parliamentary election on 20th October this year, and we are committed to hold the Presidential election as scheduled. Despite threats, tragic losses and challenges, more than four million eligible Afghans bravely casted their votes. Women’s turnout was particularly remarkable. The parliamentary poll was a test ahead of the all-important presidential elections. In order to organize a credible presidential election, the IEC and the government need to draw the lessons and apply best practices to assure electoral integrity and credibility. Our security forces played a critical role to provide a relatively secure environment for Afghans to cast their votes. Our security forces have proven to be capable of taking the responsibility for defense and counter-terrorism operations since 2014. I would like to salute our men and women in uniform for their bravery in defending the country. I should also like to thank the international forces for their sacrifices, assistance, training and equipping. As far as peace is concerned, our position is very clear. The National Unity Government is committed to peace and stability in Afghanistan, and we are ready to talk to Taliban. We do appreciate the support, facilitation and assistance of all countries involved with the Afghanistan peace process, but would like to underline that for any peace efforts to be meaningful and acceptable to Afghans, they should be Afghan-owned and Afghan-led and fall within established political and legitimate parameters. Women’s participation in the peace process is a must. We do understand that fighting is not in the interest of Afghans and others in the region and beyond. But Afghanistan unfortunately suffers from an imposed war, which is initiated, encouraged and funded by countries and non-state outfits that see their interest in the continuation of war and destabilization of Afghanistan. We look very much forward to working with all concerned stakeholders to move the peace agenda forward. Peace in Afghanistan means peace in the region and in the world. As highlighted in our discussions here, peace and stability are also crucial to regional connectivity in South and Central Asia and beyond. Regional cooperation can play a vital role in fostering economic growth and development in the region. There are no losers if we engage in a spirit of cordiality and mutual respect. As you are aware, to this end, Afghanistan has taken positive steps through some important projects such as CASA-1000, TAPI, Chabahar port, national railway corridors, air freight program, etc. Our message is clear: we prefer regional cooperation over regional hostility. 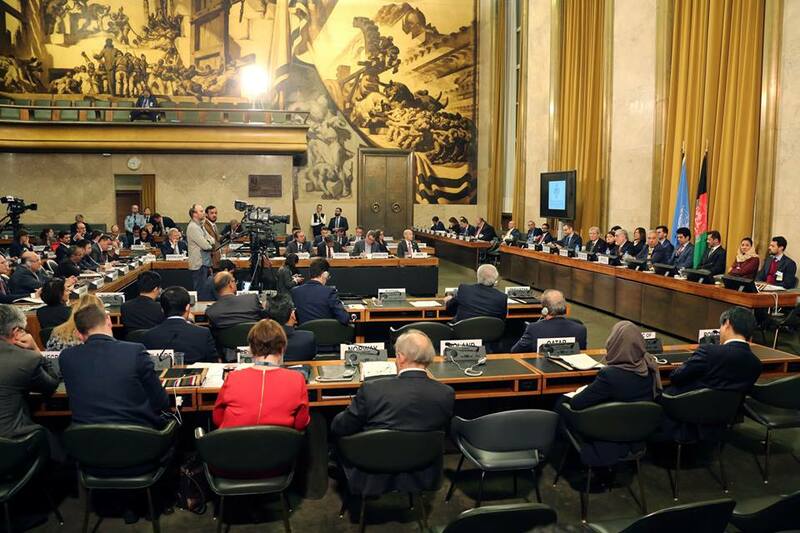 Despite many challenges, the Government of Islamic Republic of Afghanistan has made significant progress against the commitments made at London and Brussels conferences. The details of progress already presented to you this morning. I would like to assure you that the National Unity Government is committed to deliver, in a timely fashion, on all the commitments made. I am pleased to inform you that Afghanistan had a significant improvement in Doing Business Indicators (DBI) and has been recognized as one of the top ten performers for the first time in the history of the report. Development of private sector is key to economic growth and self-reliance of the country. Without a vibrant private sector, it would not be possible to achieve self-reliance by 2024 or end of the transformation decade. Women empowerment has been and will remain an important priority for the Afghanistan government. The government is fully committed to women’s empowerment, safeguarding their constitutional rights, participation in the national development processes and decision makings. While some 6 million Afghans have returned to our country since 2002, millions more currently remain outside our borders. Hundreds of thousands of Afghans are returning each year. Facilitating this return is not an easy task. We need to advance our efforts toward sustainable reintegration of Afghanistan refugees, IDPs, and other displaced populations, including through expanding access to skills development, creating livelihoods opportunities, and developing community structures, public services, and infrastructure. I call on our partners to support efforts of the governments in the region to provide effective protection of and assistance to Afghans on the move, both internally and across national borders, including through ensuring the provision of legal assistance and documentation of status, facilitating access to basic services, and providing assistance to vulnerable groups such as unaccompanied children, women and girls at risk, the elderly, persons with medical needs, and victims of trafficking. Looking ahead to the rest of the Transformation Decade, one of the key measures of our success will be our ability to find lasting solutions to protracted displacement in the country. Unless we can ensure determined, coordinated and collective efforts to resolve the humanitarian and development needs of returnees and internally displaced persons, I fear we will make little progress toward our broader goal of bringing peace and stability back to Afghanistan. The drought this year has further exacerbated the food security and nutrition situation in Afghanistan. Our National Agenda on Food Security and Nutrition (AFSeN-A) and its well-established coordination mechanisms has provided an enabling environment for multi-stakeholder engagement to streamline, coordinate, and promote our development and humanitarian initiatives on Zero Hunger, food security and nutrition. To achieve this ambitious goal, in consultation and coordination with our international partners we have developed a five- year National Multi-Stakeholder Food Security and Nutrition Strategic Plan, which delineates key strategic actions for improving the food and nutrition status of the country. The challenges are also numerous. Insecurity as a result of an imposed war on our people, corruption, exacerbated poverty and food insecurity as a result of war and drought, unemployment and weak enforcement of law continued to add to the miseries of Afghans throughout the country. The NUG has concentrated all its focus and attention to overcome these challenges. The Government of Afghanistan has developed ‘Afghanistan National Strategy for Combating Corruption’ in order to fight corruption in a coordinated manner. With the implementation of this strategy, we hope to be able to see a considerable reduction and ultimately elimination of corruption in Afghanistan. Let me assure you that we will keep going ahead decisively in our fight against corruption but I am sure that you will all agree that fighting corruption takes time and coordinated efforts by all of us. I would like to thank the United Nations for hosting this conference and every one of you for your productive engagement and constructive views in today’s conference and also in the side events and side meetings. Your presence has been invaluable and, without any doubt, has helped make the conference a great success. I also greatly appreciate the support we have received from the members of the media in covering our activities. It is very important that the views expressed here are disseminated to a wider national and international audience. We are also grateful to all those who have been involved in the organization of the event. As always, we value and look forward to our continued partnership.